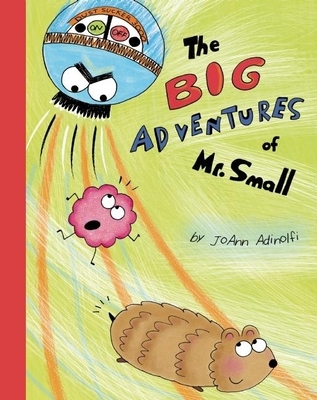 Mr. Small is a hamster with a big hunger for adventure. When he leaves his cozy cage and meets Big Dusty under the refrigerator, he faces the biggest adventure of all--fighting the Dust Sucker 3000 Will Mr. Small defeat the evil vacuum cleaner or will he lose his friend to its voracious appetite? An easy-to-read, early graphic novel format showcases the comic adventures of a little hamster and his new friend. JoAnn Adinolfi has written and illustrated many children's books. The Bank Street College of Education has chosen her titles for their Best Children's Books lists and she recently won the Gold Medal, Mom's Choice Award.